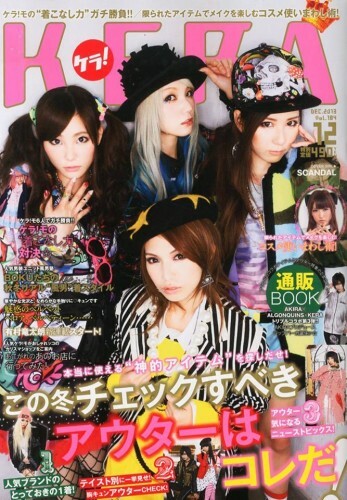 Japanese fashion forward magazine KERA features SCANDAL on its December issue cover. The girls are also featured inside for a funky fashion photo spread. Its available for order on CDJ now! Get it before it goes out of print.